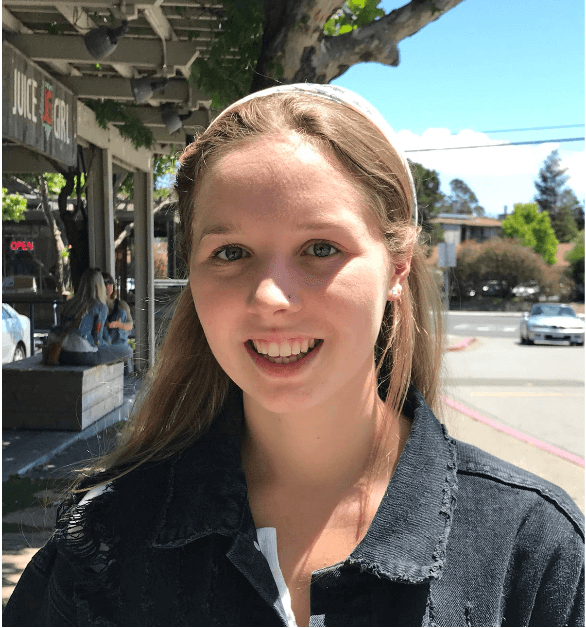 Robyn Bri is 18 years old and just graduated from high school in Marin, CA. In some ways, she is an average high achieving kid. In another way, she is very remarkable. Although retirement is a long ways off for Bri, she has already saved over $85,000 by working part time jobs and investing. Yes, you read that right. This is a lot of money. But, what makes Bri’s savings so surprising is that she is already financially well ahead of the vast majority of people — even 50 year olds. According to the U.S. Government Accountability Office, 70% of households in the 55-64 age bracket have less than $100,000 saved. More specifically, the Economic Policy Institute found that in 2013, people ages 56-61 only had an average of $17,000 in retirement accounts. Given the averages, Bri’s savings are truly a remarkable achievement. At this rate of saving and investing, Bri’s net worth could exceed $1M by her late 30s – earlier if she has success with her real estate investing vision. How in the World Did She Do This? You might want to brush off her accomplishment by assuming that Bri has a trust fund, was given the money by someone, or that she could save money because she didn’t need to fund her own wants and needs. However, Bri amassed her nest egg by lots of hard work, frugality and by getting some smart financial advice from books and blogs. She started doing small jobs for neighbors at the age of 8 and has continued to work extremely hard — waitressing, baby sitting, house sitting and more. And instead of spending her money on clothes and entertainment, Bri lives frugally and actively manages her savings. What Can You Learn from Bri? Whether you are young or old, there is a lot to learn about retirement planning from this hard working young woman. Lessons for the Young: If you are young, the real lesson here might be the power of saving money when you are young and reaping the benefits of compound interest in the future. In the chart below from one of her retirement plan scenarios you can see that if Bri saves at a rate of $2,000 to $3,000 a month after college, then her net worth could approach or exceed $3,000,000 at the age of 50 and grow into the tens of millions over the course of her life. Given her history it is likely that she will increase her savings rate — meaning that she may amass significantly more money at a younger age. Can you imagine the freedom you could have to pursue the life you want to lead with that kind of money in the bank? Lessons for People in Their 40s, 50s and 60s: If Bri can save $85,000 over 10 years while working minimum wage and part time jobs, you too can figure out a way to save. 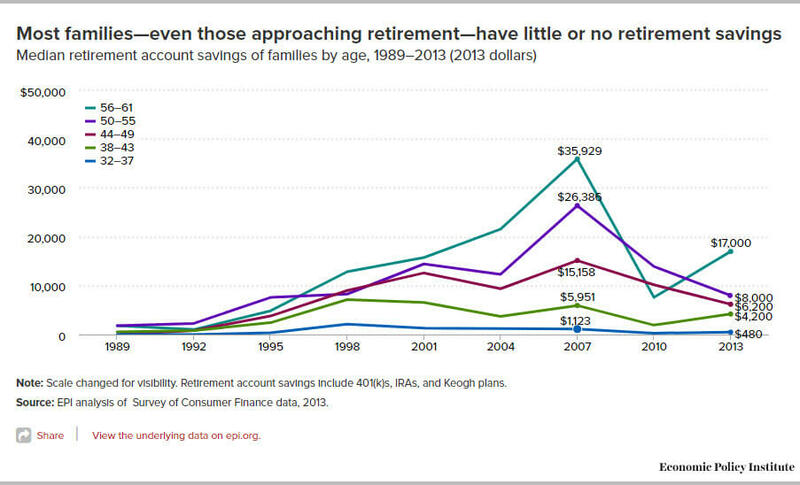 You can definitely play catch up and amass adequate retirement savings in a short period of time. Here are 12 ways to catch up on savings for a secure future. Or, start by getting real about your finances. Use the NewRetirement retirement planner to get a detailed and personalized look at how much you will really need for a secure future. NewRetirement: Approximately how much have you saved so far? How is it invested? 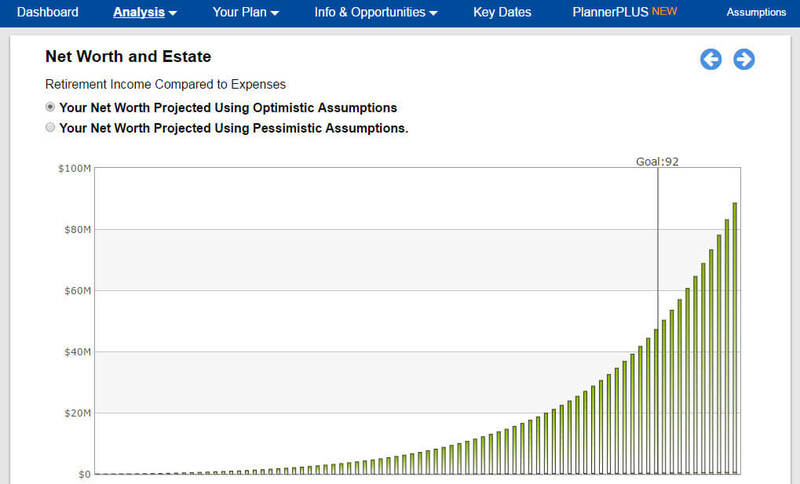 Do you have goals for the growth of your savings & investments? Robyn Bri: At the moment I have a high end savings account where I try to put money in as much as possible, a few thousand a year is my goal for now. I also have my checking account which I use for my everyday expenses – phone bill, gas, car maintenance, food, personal items, clothes etc. I then have two self investing accounts with Merrill Edge. One is a Roth IRA directly for when I retire – but I have it set up so that when I turn 56 I am able to start accessing the money. The other account is a personal self guided account that I have set up to have access to when I turn 28, in order to invest in my first house. I also bought Apple stock when I was 16 and plan to leave it in that account. Finally, I use a credit card that earns me points and that I pay off every month. Nice work! What’s motivating all this? Robyn Bri: What motivates me is having grown up in a family that was unable to provide for all the needs of three children. At age eight I started cat sitting and dog walking for my neighbors. Earning money made me realize the value of it; it would last longer than if it was just given to me. At age eight, I stopped asking my parents for money and started providing for myself. When I turned ten I started babysitting for my neighbors and a few years later I had a clientele list of four families. I had to keep track of my hours and sent out monthly bills to the families. This experience is what prompted me to get into the world of finance and business. NewRetirement: You sound like a young adopter of a movement in personal finance called Financial Independence Retire Early (F.I.R.E.) This movement is evangelized by J.D.. Roth who runs the Money Boss blog and is author of A Brief Guide to Financial Freedom. F.I.R.E is about making some significant lifestyle choices now in order to achieve financial independence as quickly as possible. For most followers it’s about being mindful of your priorities and not cluttering up life with things that don’t really matter in order to achieve both financial and personal goals. Robyn Bri: My day starts with going to school, Monday through Friday, from more or less 8:00am – 3:00pm. After school I usually head over to The Redwoods retirement home to check in with the programs department. I spend roughly three to five hours a day there [doing volunteer work]. When I am done with my responsibilities there, I take care of one of the 12 families I babysit for. On the weekends, I work at Mama’s Royal Cafe for 10 hours total most weekends. After serving at Mama’s, I go home and do homework before babysitting. Every day is different but in general in consists of school, volunteering at the Redwoods, working at Mama’s, babysitting, homework, and trying to squeeze in time for my friends. NewRetirement: So beyond working and maintaining a high GPA at school, you also volunteer? Wow! What motivates you to put so much time into volunteering on top of school and work? Do you have any time for other extracurricular activities? Robyn Bri: I started volunteering in sixth grade after I realized sports was not the right path for me and I fell in love with volunteering. My positions became greater and responsibilities grew until I ended up building my own program at the Redwoods to help seniors learn technology. It’s called Cyber Seniors, initiated in the Spring of 2016. I am an extroverted person. I enjoy hiking to the beach and am passionate about the environment and animals (I am a vegetarian). NewRetirement: Where do you see yourself in five, 10, or 20 years? NewRetirement: Sounds like good advice to create a plan. And, your goals sound ambitious, but if your past successes are any indication, I am sure you’ll meet and exceed your aspirations. Why focus on real estate investing versus stocks, fixed income, or some other investment? Robyn Bri: For my career I want to help other people to invest in real estate for either themselves or to make money. I believe it is a good way to make money and it’s something I’m passionate about and that will also help me be able to travel the world and invite friends to come stay with me. My career goal is to become a Project Manager in a construction and design firm based in NYC. In order to achieve this career path, I will pursue a college degree in Business Administration and Management with a Certificate/Secondary Degree in Construction Management, and electives in Interior Design. I believe completing these studies will give me the knowledge and expert skills I need to succeed in my career. NewRetirement: How did you learn about personal finance? Did you know that a recent study discovered that the average score on a personal finance quiz is 30%? What sites, blogs, and books do you like? I’ve also learned through the process of setting up my own bank and brokerage accounts and turning on automatic saving & investing via some of the robo advisor functionality that is out there. NewRetirement: Nice that you are taking advantage of some of the robo advisor functionality. What advice would you give to families who say that they can’t save for retirement? What do you think of this couple earning $500 thousand a year and who can’t save any money? Robyn Bri: It’s hard out there, and after reading this article and looking at the breakdown I can understand why they can’t seem to save money. These are three examples of how they could cut down on expenses. They live in NYC what happened to public transportation? 3 trips a year? I barely got one every 2 years. Children’s Lessons? I understand it’s a competitive world out there for growing children, trust me. But I believe that you don’t need to spend thousands of dollars on violin and tennis lessons just to keep up with society. There are great ways to be involved, do sports, and play instruments without spending money. Kids cannot be forced into liking something but find something they are passionate about, NOT what their parents or colleges want. Just these three things could save them $23,600 a year to put into retirement. That is still leaving them with $6,000 for vacations and $5,000 for each child for after school activities if needed. NewRetirement: Those are great observations. If your real estate career doesn’t work out, you could be a personal finance guru! As a younger person who is a well educated, a natural at saving money and making smart financial moves, Bri is already on a great path financially. The opportunity in front of her is to expand her horizon and aim higher since it’s likely she’ll achieve financial freedom at a young age. Bri recently discovered that she has been awarded a full scholarship to George Washington University. Her hard work and focus are being recognized. And, with college costs being taken care of, we are willing to bet that Bri will continue saving for her very bright future. What lessons will you take from this amazing young woman? Do You Have a Strong Plan for Your Own Retirement?